Advanced biocompatible and robust platforms equipped with diverse properties are highly required in biomedical imaging applications for the early detection of atherosclerotic vascular disease and cancers. Designing nanohybrids composed of noble metals and fluorescent materials is a new way to perform multimodal imaging to overcome the limitations of single-modality counterparts. 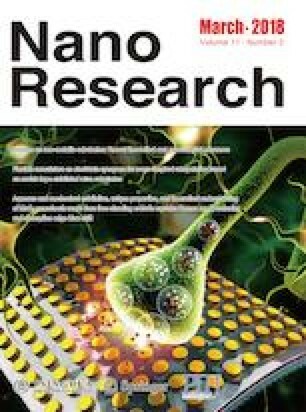 Herein, we propose the novel design of a multimodal contrast agent; namely, an enhanced nanohybrid comprising gold nanorods (GNRs) and carbon dots (CDs) with silica (SiO2) as a bridge. The nanohybrid (GNR@SiO2@CD) construction is based on covalent bonding between SiO2 and the silane-functionalized CDs, which links the GNRs with the CDs to form typical core–shell units. The novel structure not only retains and even highly improves the optical properties of the GNRs and CDs, but also possesses superior imaging performance in both diffusion reflection (DR) and fluorescence lifetime imaging microscopy (FLIM) measurements compared with bare GNRs or fluorescence dyes and CDs. The superior bioimaging properties of the GNR@SiO2@CD nanohybrids were successfully exploited for in vitro DR and FLIM measurements of macrophages within tissue-like phantoms, paving the way toward a theranostic contrast agent for atherosclerosis and cancer. Supplementary material (further details of the comparable stability of GNR@SiO2@CDs) is available in the online version of this article at https://doi.org/10.1007/s12274-017-1739-4. This work was supported by the Joint NSFC-ISF Research Program (No. 51561145004), jointly funded by the National Natural Science Foundation of China and the Israel Science Foundation, and the President’s International Fellowship Initiative, Chinese Academy of Sciences (No. PIFI2015VTB041).